Ships today if you order in the next 10 hours 13 minutes. Oligomeric proanthocyanidin complexes (OPCs) are bioflavonoids that are not necessary for life, but may be important for optimal health. They act as antioxidants, and are often extracted from grape seed, grape skin and pine bark. Other plants also contains these flavonoids, including bilberry, black currant, black tea, cranberry and green tea. 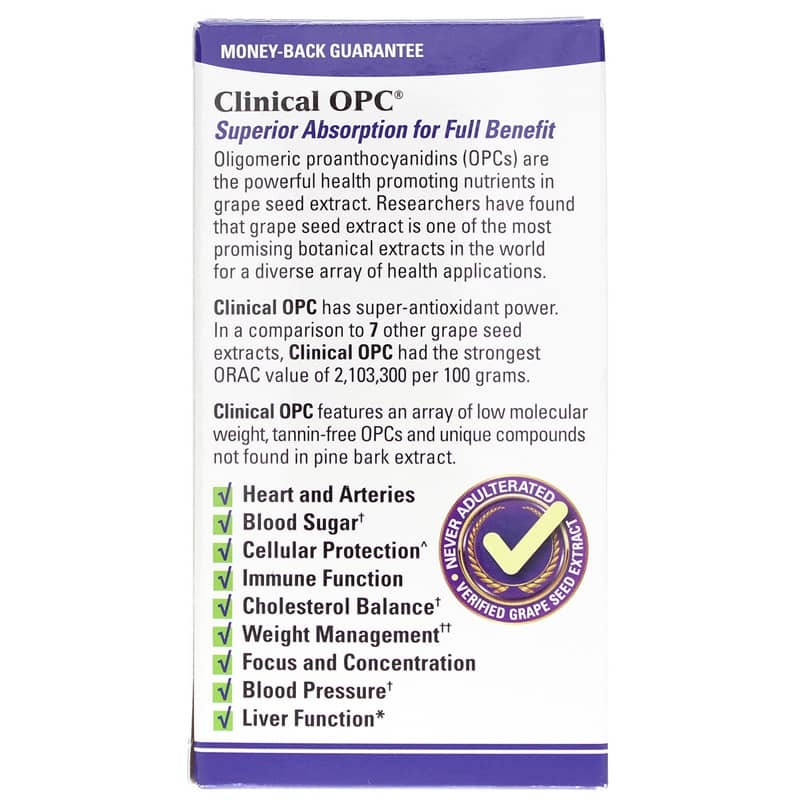 It is said that OPCs support virtually every metabolic system in the body. 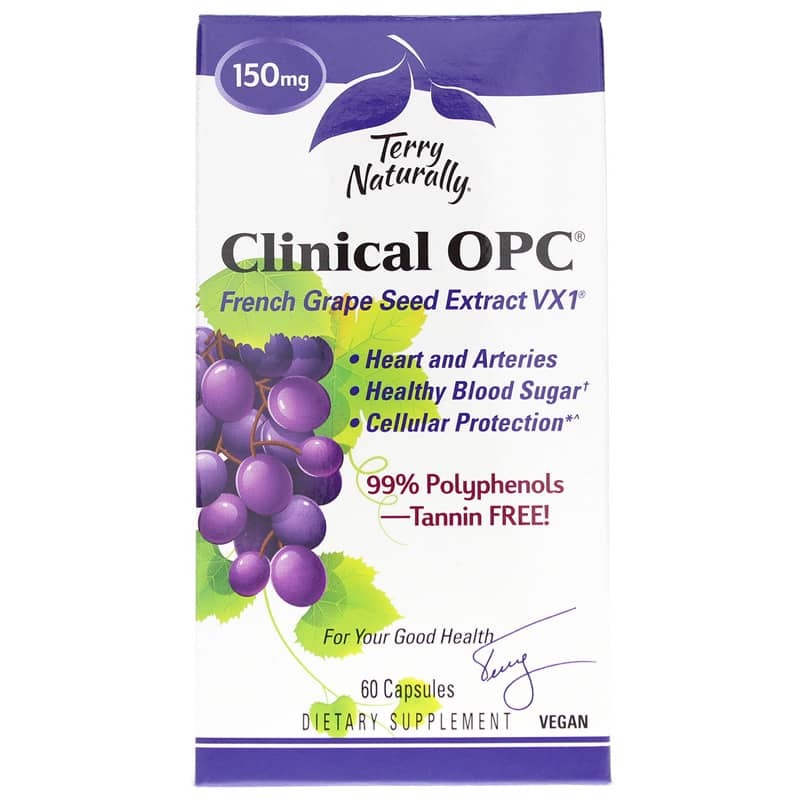 Terry Naturally offers a natural supplement called Clinical OPC that provides maximum absorption Vina-100 French grape seed extract for maximum benefits. This formulation contains no GMOs, sugar, salt, yeast, wheat, gluten, corn, soy, dairy, or artificial coloring, flavoring or preservatives. 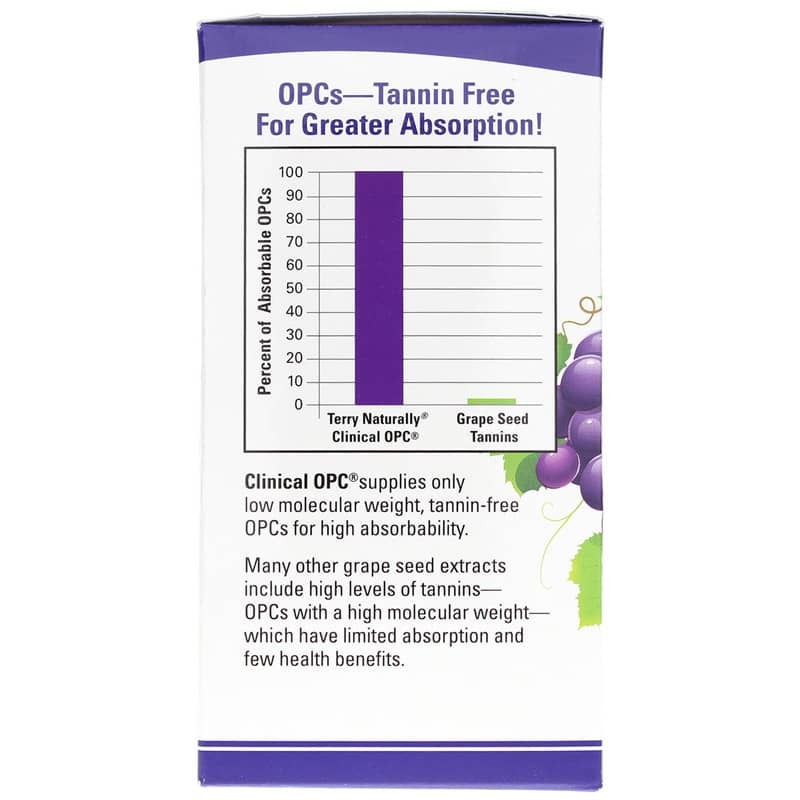 If you're looking for a natural, grape seed extract supplement that provides maximum absorption, check into Terry Naturally's Clinical OPC. Order online today! 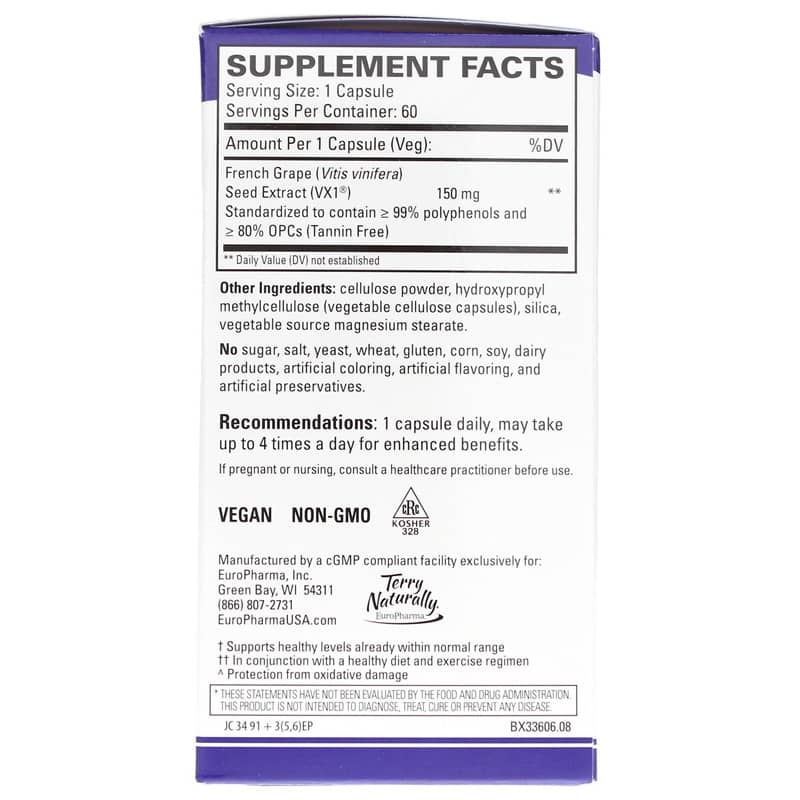 Contains NO: sugar, salt, yeast, wheat, gluten, corn, soy, dairy products, artificial coloring, artificial flavoring, or artificial preservatives. Vegan and Non-GMO. Adults: 1 capsule daily, may take up to 4 times a day for enhanced benefits. I am grateful you carry this supplement and like the price. I've finished 1 box of this item, but haven't really noticed any differences. Not sure if it's working or not, which is the reason for the 3 stars. Will continue a few more months and update.